CUP design portable hookah made by the same producers of the Milkshake Hookah, the flavour tray and coal tray are the same as the Milkshake hookah and also features a tiny airflow hole (since there is no purhe valve with this model) and offers a suitable session. This is almost the exact same size as the Mazaya Portable Hookah. 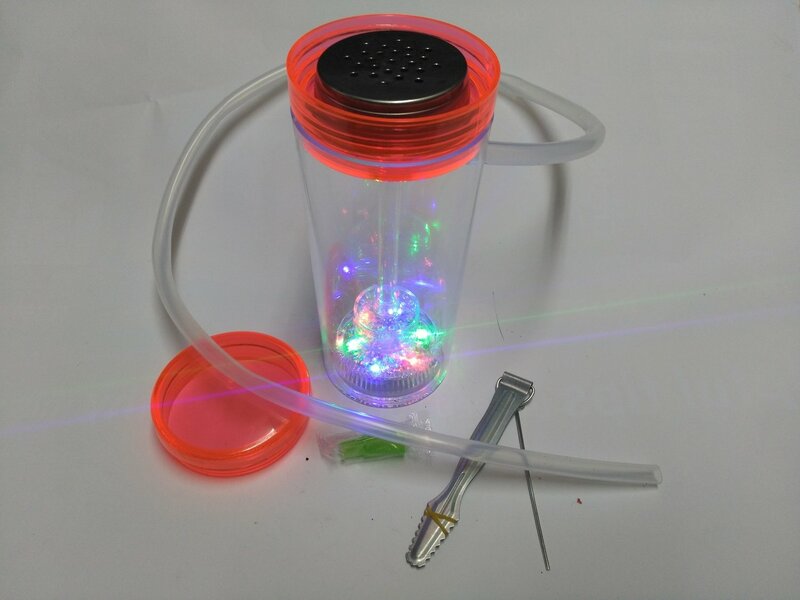 The coolest part is the LED light features as it provides a totally unique experience in a good setting and when the chamber is filled with smoke and water. Comes with a detachable diffuser. Weekly deal on this hookah!